SUPER dive today off our little spot on Lopez - Reef Net Rocks. Claude found all sorts of goodies, including Penpoint Gunnels, Puget Sound Rockfish, and a Giant Pacific Octopus! This guy really performed for us - uncoiling many of his tentacles and extending them towards us the whole time we hung around. 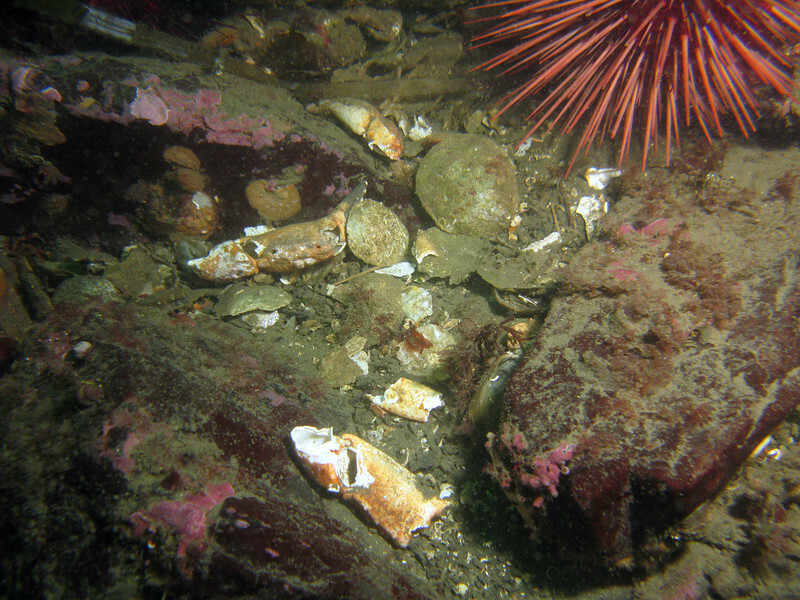 It may not look like much, but when we divers see this - broken crab shells strewn about - we know there's probably a Giant Pacific Octopus lurking somewhere nearby.